Fotor photo text editor allows you to adopt fonts directly from your computer and also from our various online fonts. You can add text to your pictures directly online for free. 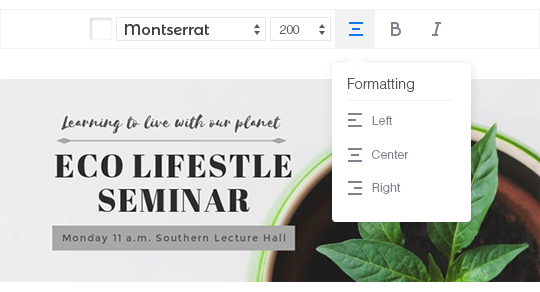 All comprehensive text settings are available at Fotor. Choose from a range of common and customized fonts to spruce up your text, the right font is essential for maximizing your design. The formatting of a design or photo’s text can help it appear aesthetically pleasing and remain symmetrical.When adding text to your image, photo or template, remember to take the size into account. The larger the text size, the greater its priority on any design. Color represents feelings and ideas, making it the key to a successful design, photo or collage. Contrasting and matching produce different effects, experiment for yourself. Will your text stand boldly or be hidden in the background? 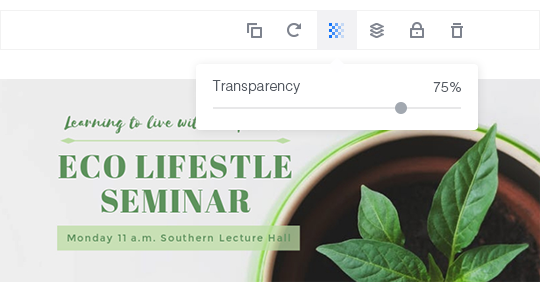 Modify the transparency of your text to find the perfect result. Open you collage, design or photo in Fotor. Using the 'Text' button, select and drag a text box to desired location. Modify text, altering font, color, size and transparency. Preview and save your work, choosing the size and format you wish. Adding text to pictures has never been so easy with Fotor photo text editor! With various fonts from both online and your computer, you can even further modify the photo text using advanced text features and effects!